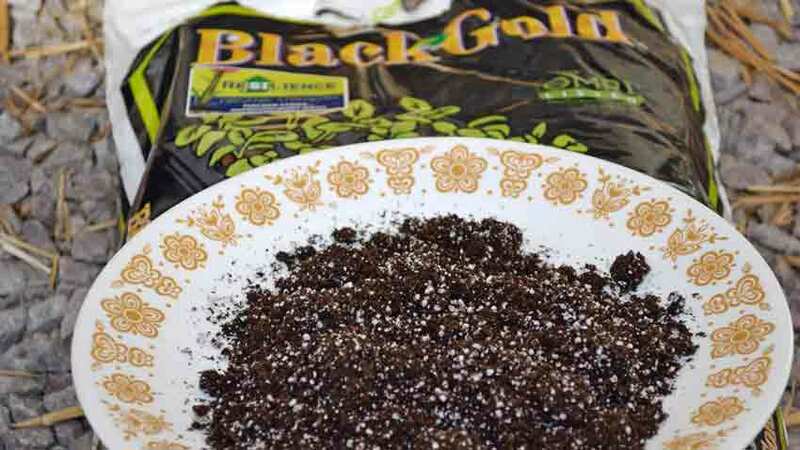 Seed starting mixes can be confusing – there are so many at different price points; who’s to know what’s good and what’s junk? Is the extra expense worth it, or is the cheapest mix just as good? We looked at a few examples on the market to see what is available from a range of prices and suppliers. Starting with the big box stores and going to a local hardware store with a good gardening selection and then to a garden center, we chose a representative sample to give you a good starting point in choosing what to use for your seed starting. This is in no way meant to be an exhaustive or comprehensive review of all available seed starting mixes. 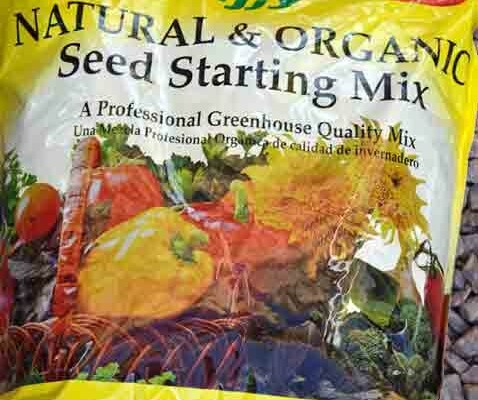 From what we can tell, there are many different brands and types of seed starting mixes. We suspect that a few companies are producing many of the re-bagged or re-branded mixes, much like there are exactly two car battery manufacturers in the US, selling dozens of brands of batteries through different outlets. Our goal is to provide you with an educated overview of some middle of the road seed starting mixes so you will be better informed when confronted with the “Great Wall” of seed starting mixes at your local garden center. 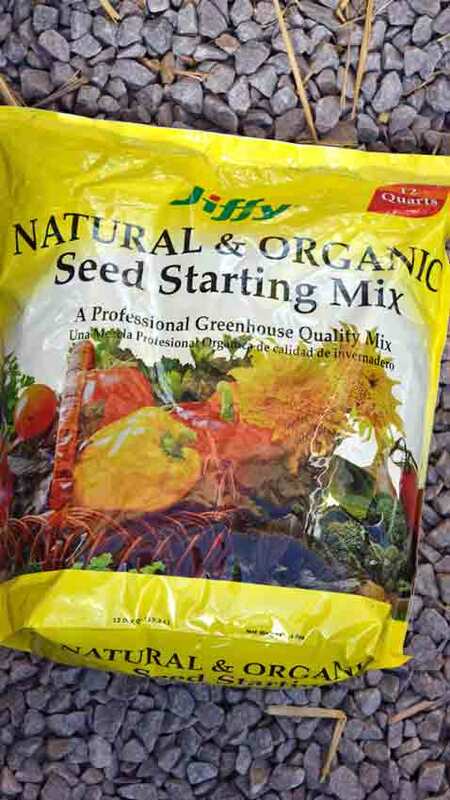 Along the way, we found seed starting mixes are seemingly designed to be confusing – especially when they are stacked next to each other in the garden section of the big box store or in the garden center. None of them were the same size, so easily comparing costs while in the store was difficult, requiring converting different prices to the same volume. We chose a quart size as the standard for the seed starting mixes, as most home gardeners will be using smaller amounts than market growers. Another interesting thing we found was the labeling on each bag and the claims made. Some had the word “Organic” prominently displayed or used as part of the name, with no verification that the contents were, in fact, organic. “Natural” was also strongly used, with no substantiation. 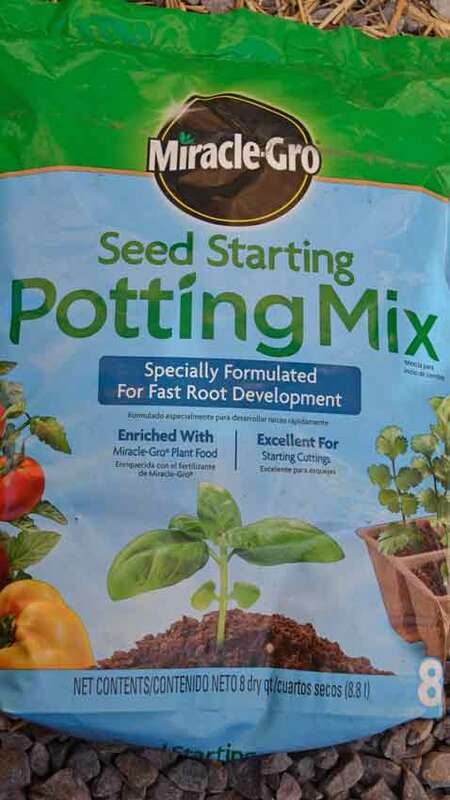 In addition to the seed starting mixes, we have included a potting mix we’ve started seeds in for several years and have recommended to our customers. 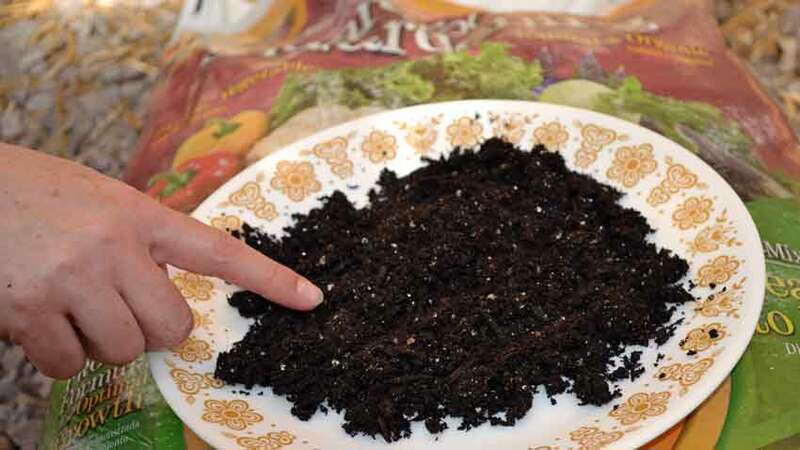 This is included as a reference point, as gardeners in some areas won’t be able to use a potting soil to start seeds due to high humidity and the associated fungi and mold challenges. Others, like us, will be able to use it to their advantage. What are seed starting mixes and do I need one? 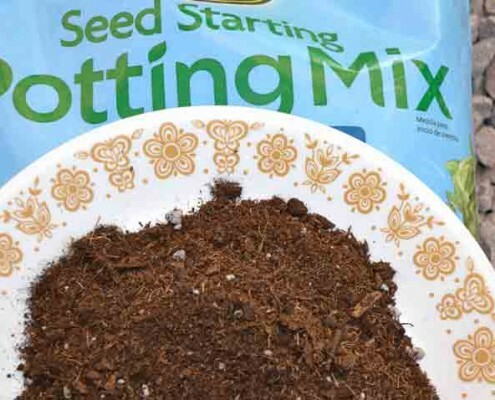 Seed starting mixes are not soil, they are blended to create a good environment to get the seed germinated and into the seedling stage, where it is transplanted into a potting soil or garden soil. 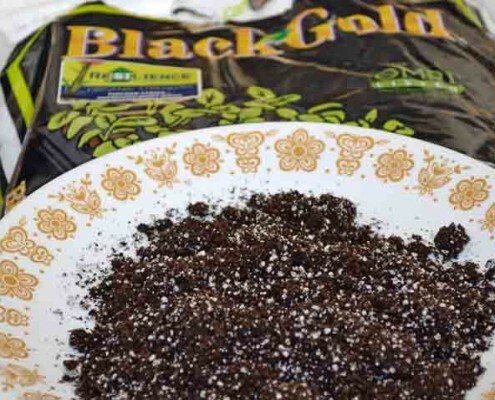 For a closer look at the components that typically make up seed starting mixes, read Seed Starting Media for the Home Gardener. Not everyone needs seed starting mixes, some gardeners do very well starting their seeds in potting soil or a rich garden soil. 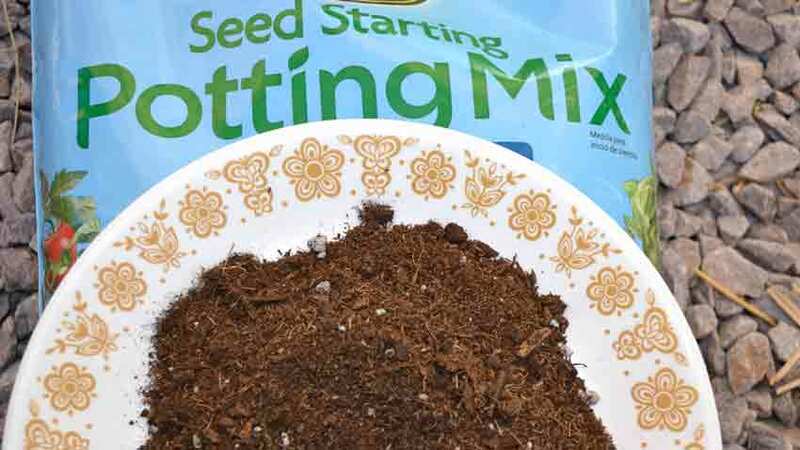 This often saves the work and stress of transplanting, but if you need a sterile soil because of mold or fungi pressures, then seed starting mixes will really help. Other gardeners just trust a sterile seed starting mix and have had good results for their garden. For all of the photos, click to enlarge them for more detail. 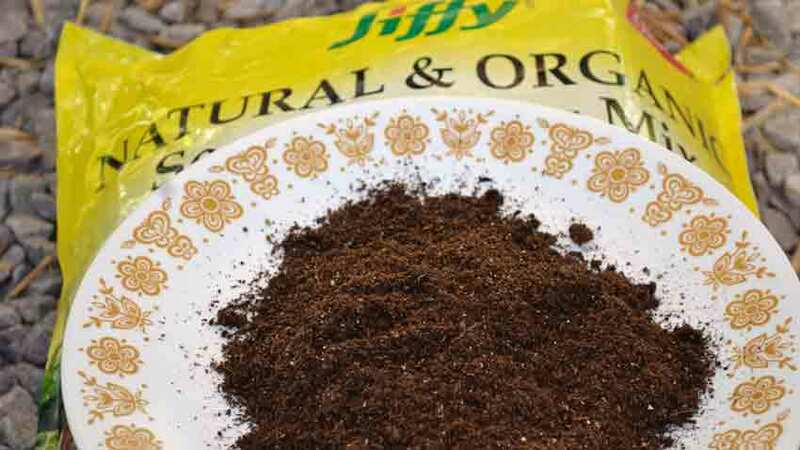 First up is Jiffy “Natural & Organic” Seed Starting Mix. We bought this at our local True Value garden center, so it should be available at independent garden centers and possibly the big box stores. 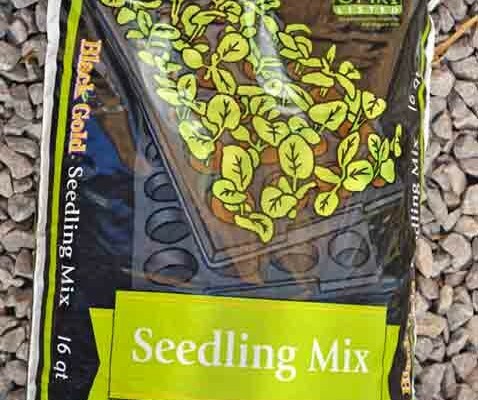 There are several interesting things about this seed starting mix. First off, there is no ingredients listed, either on the bag or on Jiffy’s website. Second, this is an OMRI listed product, meaning it is approved through the Organic Materials Review Institute (OMRI). OMRI is an international nonprofit organization which certifies which input (fertilizer, herbicide, pesticide, etc.) 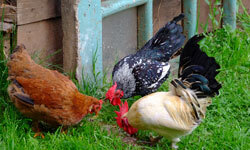 products are allowed for use in certified organic agriculture. 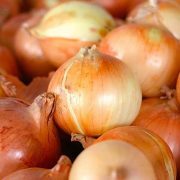 OMRI Listed® products are allowed for use in certified organic operations under the USDA National Organic Program. This is a big deal, there is no way to buy or sneak a product in and most companies will prominently display the OMRI listing on their bags, as you’ll see below. Jiffy doesn’t mention it, or list the ingredients. With the OMRI listing, we feel pretty comfortable in using this, but would like to see what makes up the seed starting mix. Here is what the bag looks like. On first read the “Natural & Organic” label is somewhat misleading, especially with no mention of the OMRI listing. The bag has 12 quarts for $6.99, so not a bad price, especially for a smaller home gardener who will use less than one bag to start their tomato, pepper and eggplant seeds. 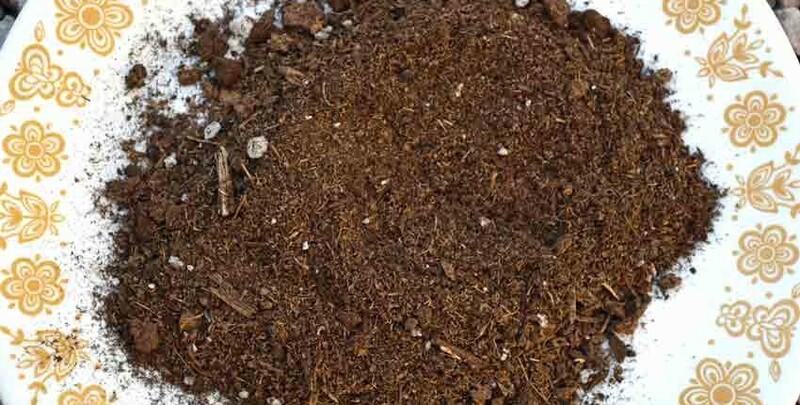 An initial look at the soil shows what looks to be some coconut coir, possibly some peat moss, perlite and maybe some compost, but it’s hard to be sure. It had a good, rich soil aroma and was finely textured with no large lumps or woody chunks in it. Overall, we were pleased at what we saw, with the caveat of wishing to know what the ingredients were making up the mix. On the plus side, OMRI listing is very good – indicating it is accepted for certified organic agriculture. 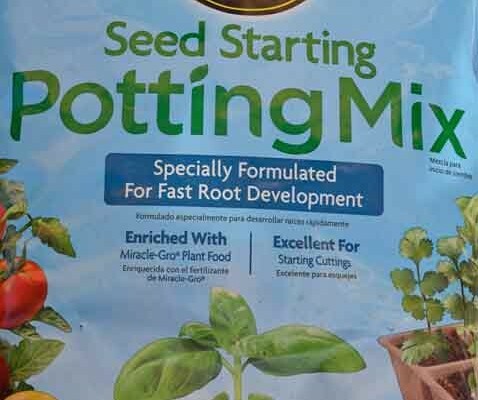 Miracle Gro Seed Starting Potting Mix was next up. The labeling seems to be trying to straddle the seed starting mix/ potting soil applications without specifying if it is suitable for both. The bag says it is enriched with Miracle Gro, which is no surprise, and the mix is excellent for starting cuttings. 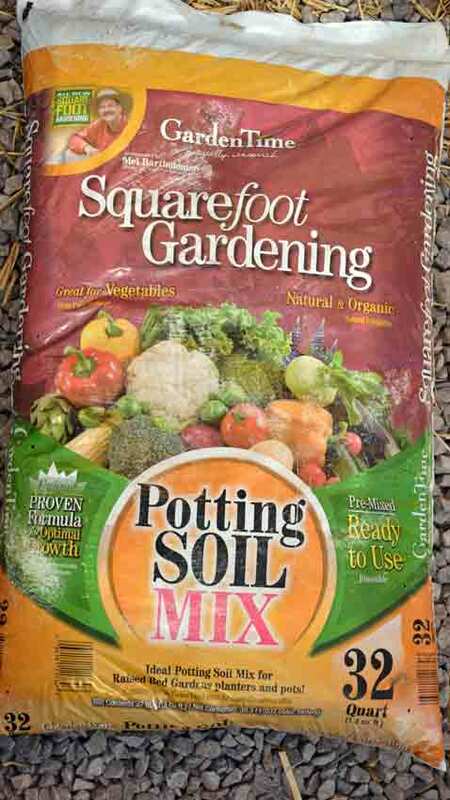 The bag has 8 quarts and is $4.77 at Lowe’s or Home Depot, which is enough for a small gardener to start seeds with. This mix is not OMRI listed. Here is Miracle Gro’s online listing. Our concern with Miracle Gro is their blend of plant food emphasizes vegetative growth and strong flowering, without the nutrients for fruit or food production. We have had numerous customers call or email asking why their tomato plants had such lush, dark green leaves and were covered in flowers but not producing a single tomato, or very few. When we asked if they were using Miracle Gro, they seemed shocked that we could know what they were using! 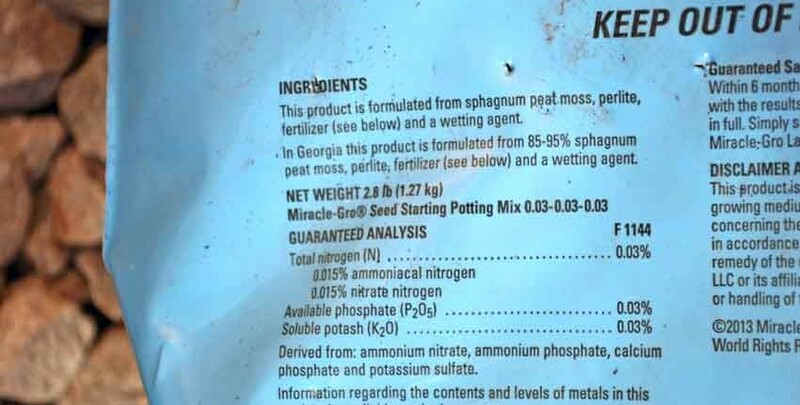 The ingredients are listed – peat moss, perlite, Miracle Gro fertilizer and a wetting agent. Not terrible, but not the greatest either. If you’ve read Starting Seeds at Home – a Deeper Look, you remember that during germination, seeds have no need for fertilizers as they carry everything they need to sprout and establish a seedling inside the seed coat. 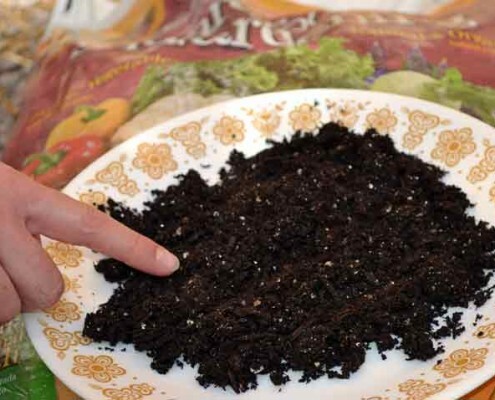 The fertilizer might be beneficial during the seedling phase, but more soil nutrients are definitely needed to sustain a healthy plant, so this is not a seed to garden transplant mix. The wetting agent will be beneficial in the germination stage, but could contribute to mold and fungal issues for the seedling if the gardener isn’t aware and careful in not over watering and inadvertently saturating the soil, which the wetting agents will make worse. 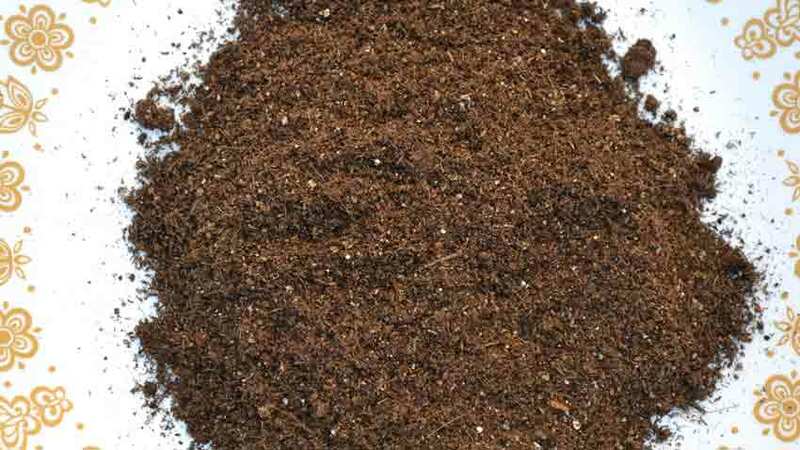 There is valid concerns raised about the harvesting of sphagnum peat moss from Canada as being sustainable or not. It takes peat moss bogs several hundred to a thousand years to mature, depending on the conditions, so it is hard to “sustainably” manage them. 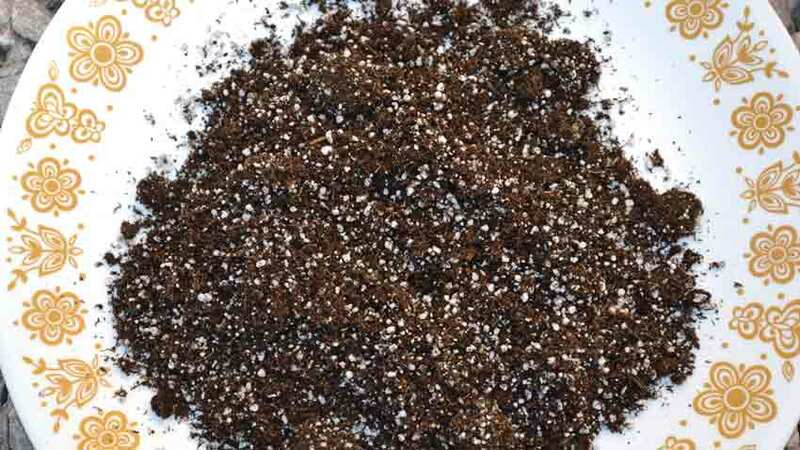 Looking at the soil it was fine and fairly light with some perlite easily seen among the peat moss. It looks a bit chunky, but the feel wasn’t. It did seem to have a few larger chunks of material, but that shouldn’t matter in starting seeds. Not a bad seed starting mix, and we would take this over several store brands we’ve seen. 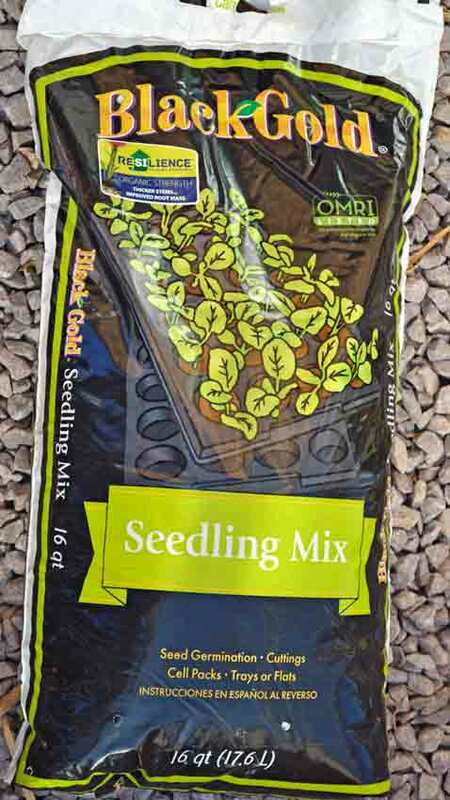 Black Gold Seedling Mix is another of the seed starting mixes listed by OMRI, and it says so on the top right side of the bag. 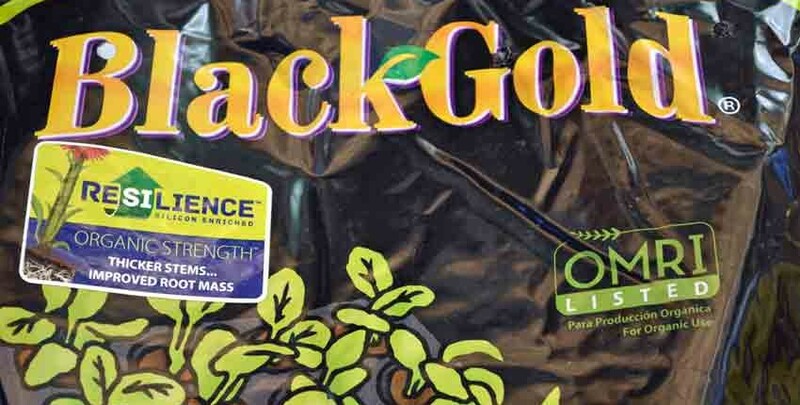 Black Gold is a well known supplier for hydroponic growers and would be considered one of the premium or super-premium seed starting mixes. We sourced this from True Value, so it should be available from an independent garden center but probably not from the big box stores. 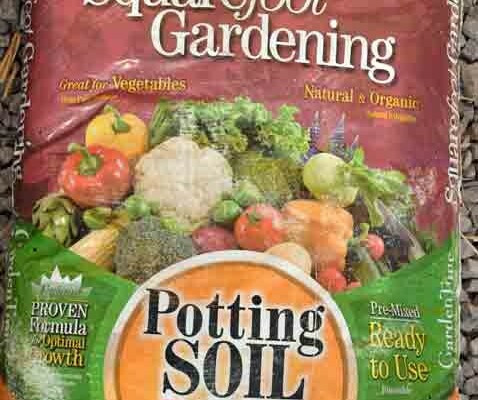 The bag has 16 quarts for $6.99, so is a good value with enough to start seedlings for a very large garden or for sharing between a couple of neighbors or a community garden. Black Gold’s online listing. In addition to the OMRI listing, the label shows this seed starting mix to be enriched with silicon for thicker stems and improved root mass. While it is true that silica and silicon are important components to strong cell, stem and root growth, there is no mention of the silica in the ingredients. This might be a marketing approach, or it could be something worthwhile, but the bag doesn’t expand on the benefits. 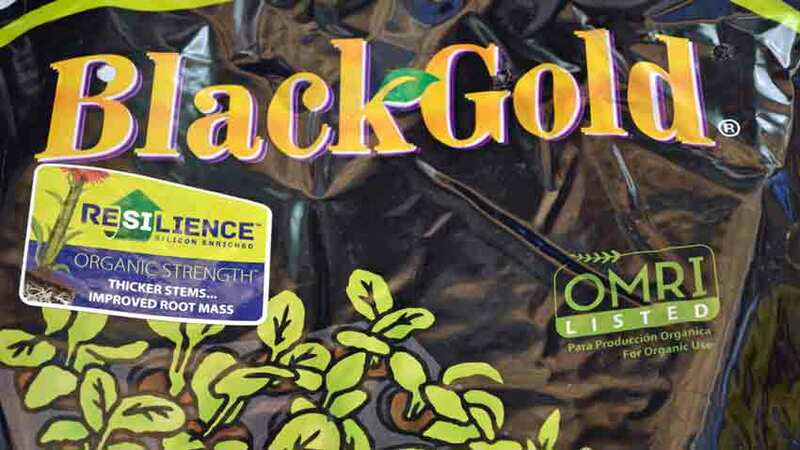 Black Gold’s ingredients are pretty standard for seed starting mixes; peat moss, perlite, dolomite lime and Yucca extract as the organic wetting agent. Dolomite lime is calcium magnesium carbonate and increases the pH of soil, but also aids in organic decomposition. It is high in magnesium and calcium, which could be good for acidic soils but could be trouble for alkaline soils like we have in the West. The amount of dolomite lime is probably small and wouldn’t cause much of an effect in the amounts used in seed starting mixes, but might not be the best use as a garden or container amendment. It is good to see what is used as the wetting agent – Yucca extract. 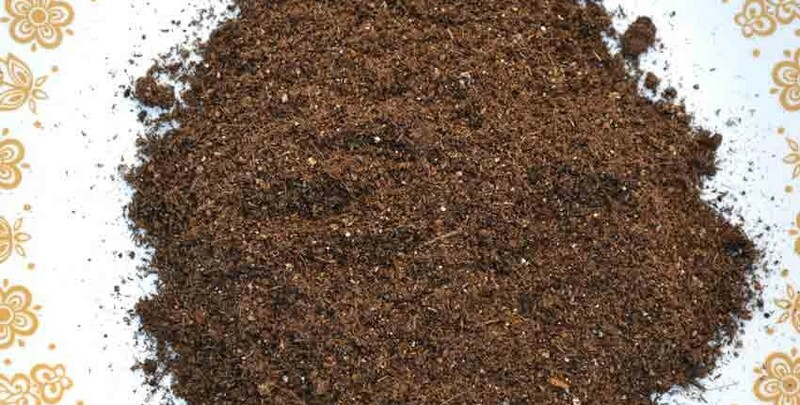 The appearance confirms what we would expect to see from the ingredients – lots of white perlite specks on a very dark peat moss background. It is light and fluffy, allowing good root penetration and establishment. 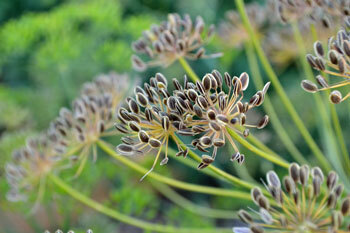 Because this is OMRI listed, we would choose it over a non-OMRI listed seed starting mix. 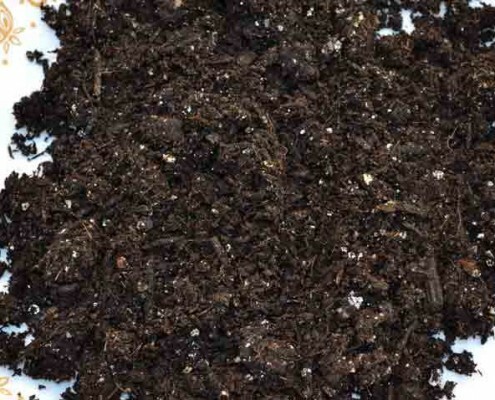 The final comparison is included even though it is labeled as a potting soil and isn’t one of the seed starting mixes. 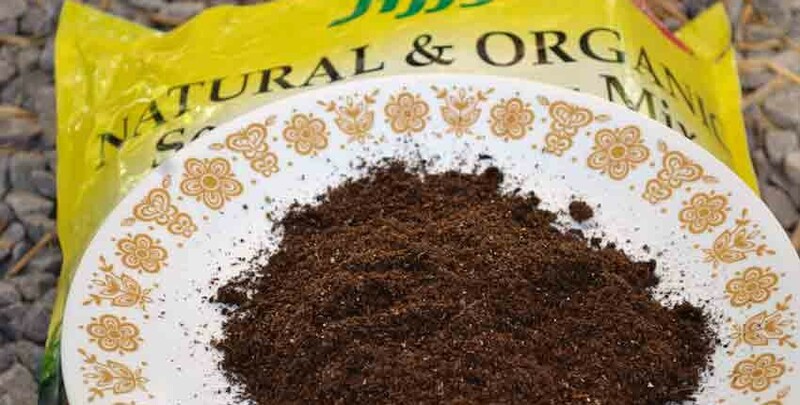 Garden Time’s Square Foot Gardening Potting Soil is about as close as you can come to a complete garden soil in a bag, and we’ve used it for a number of years to start seeds, transplant seedlings into and have been quite happy with the results. The “Natural & Organic” label is prominent on the bag, even though this is not OMRI listed. Some of the other claims are “Proven Formula for Optimum Growth” and “Great for Vegetables”. We sourced this from Lowe’s and have bought it at Home Depot in years past. We also saw it with a different bag in True Value. 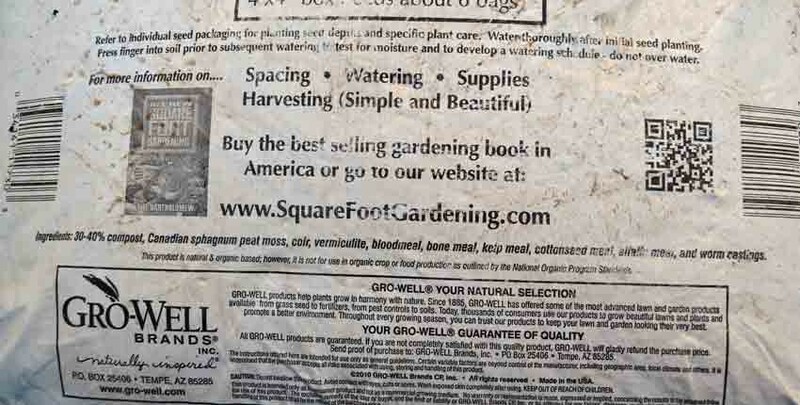 The company name is Garden Time and is a part of Gro-Well brands in Tempe, AZ. The bag is 1.3 cubic feet, which translates to 38.9 quarts for $8.98, making it by far the most cost effective seed starting medium. 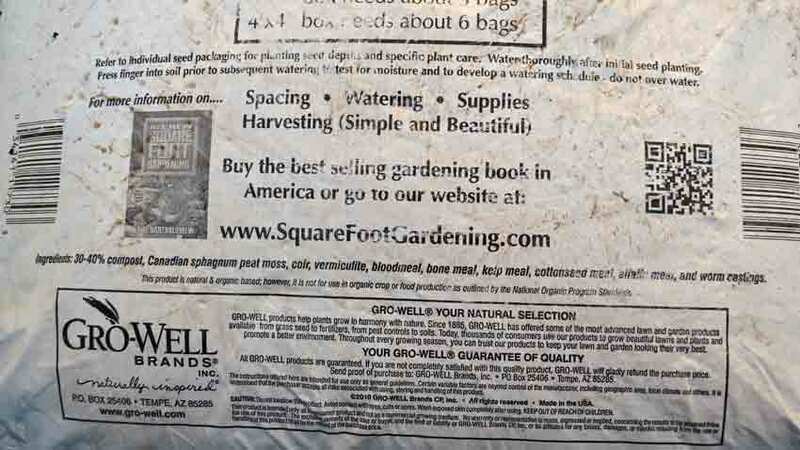 Garden Time’s Square Foot Gardening online listing. Looking at the mix it’s easy to see the vermiculite granules, which are gold colored specks instead of the white of perlite. 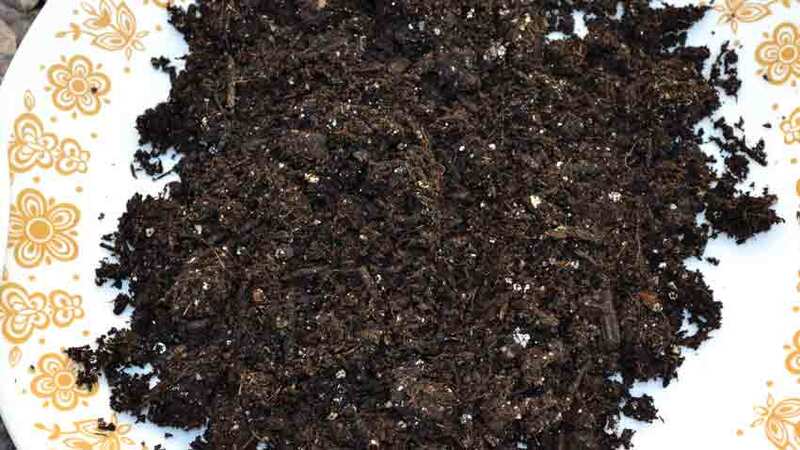 It has a lot darker look due to the compost and additional nutrients. 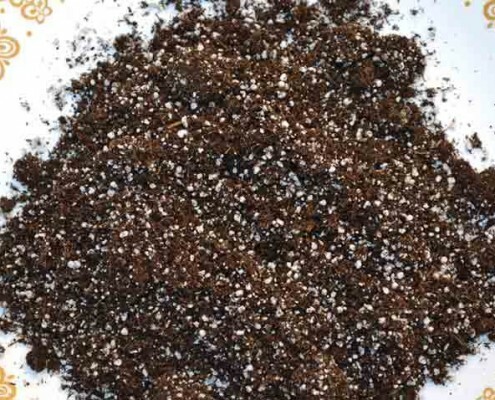 Vermiculite is mica expanded by intense heat and is used much like perlite to retain water, decrease soil compaction and improve water retention. The breakdown of the costs per quart tell a story – they are in the ballpark of each other, with the exception of our rogue potting soil thrown in. Most of them have similar ingredients, with a few different additions. If we had to buy a dedicated seed starting mix and couldn’t use the potting soil we do, our choice would be one that lists the ingredients and is OMRI listed. Having said that, any of the seed starting mixes with the primary ingredients of coconut coir (our preference) or peat moss with perlite or vermiculite would make a satisfactory seed starting mix. What you choose will depend largely on the availability for you, how much you need and the cost. As part of the test, we are starting seeds in all four mixes and have documented our results in Seed Germination Observations. 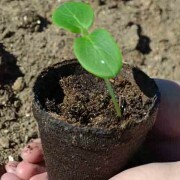 Our Potting Soils article gives you some details on what to look for in good soils to transplant your young, tender seedlings into. The one that mentions silica that wasn’t listed in the ingredients; perlite is mostly silicon dioxide and is sort of a puffed up volcanic material and will break down to supply the silicon. I would avoid the vermiculite, the mining of which is associated with release of asbestos. In fact, vermiculite is almost always intimately associated with asbestiform minerals, and anything that contains vermiculite will also contain (at least small quantities) of asbestos. It is in the mining stages that it concerns me, it simply cannot be mined and processed without producing asbestos, as in the Libby, Montana case. Thanks for the information Jerry! I’m pretty sure that all the mines “associated with asbestos” are now long closed and were mostly ones that mined vermiculite to use as a packing material for shipping chemicals. Can you post a citation to a research-based article that claims otherwise? That would be up to Jerry to provide, if he chooses to. 2017 was the first year I tried to grow my own plants from seed. I had excellent results with Miracle Gro. Virtually 100% germination, very healthy seedlings and all plants did wonderfully in the garden. Later in the year I tried some with the Jiffy which I had on hand. Dismal results. Not better than 25% germination and the seedlings did not look well. It had a very different texture from the Miracle Gro. Threw the stuff out. Now I see at the local big box that Burpee has entered the market with their own seed starter mix. I will give it a try, at least until I can find the Miracle Gro back in the stores. Good to hear – thanks for sharing your experiences! Hi Mary – Yes we did, but forgot to link it, so thanks for the heads-up! Seed Germination Observations has the details of what we found. I might be a little late in this discussion but going ahead anyway. 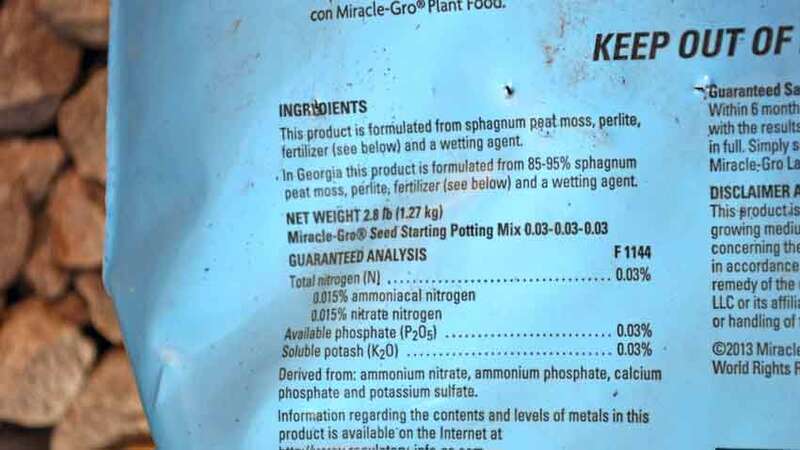 You mentioned that spagnum peat moss was a concern for being a non renewable resource yet every seed starting soil has peatmoss in it. 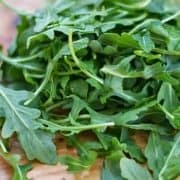 Is there any recipe you can recommend that doesn’t have peatmoss in it? 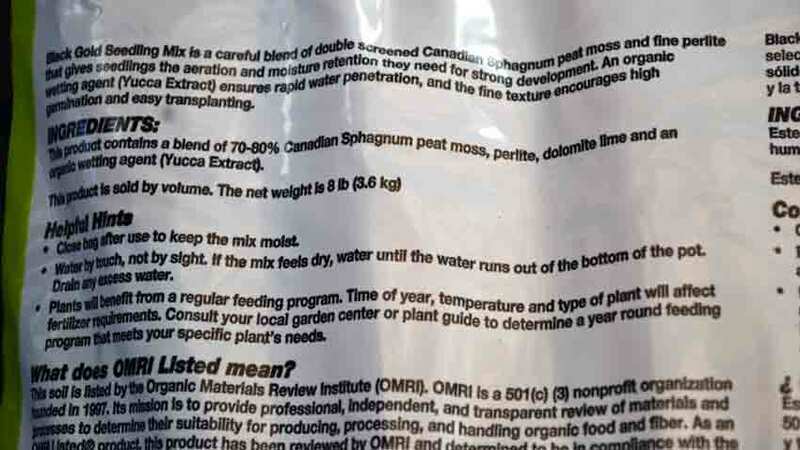 You are right, peat moss is a major ingredient in most seed starting mixes, and things haven’t changed in the past few years either! 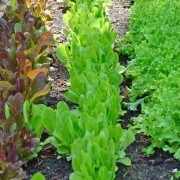 To avoid it, you are almost forced to mix your own – like with the recipes found in Seed Starting Media for the Home Gardner.